Nothing beats being with other like-minded professionals for the day to discuss what’s happening with cannabis. Of course, a lot is changing. At a one day conference hosted by Burns & Levinson and Viridian Capital Advisors, the speakers were primarily financial and legal leaders, We heard how next year, as Massachusetts becomes yet another state to legalize marijuana, biotech, finance and manufacturing could be impacted. Truly, the possibilities and potential synergies are endless. 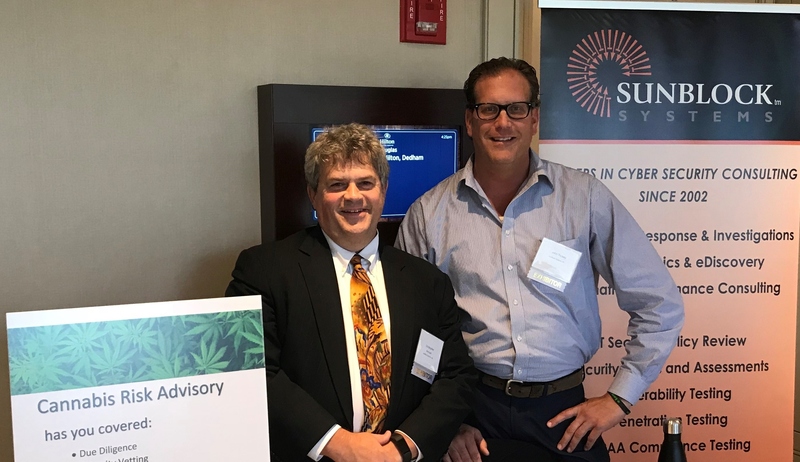 We are excited to be at the forefront of a rapidly changing industry, and to combine our decades of experience in cyber security and intelligence with the experience of seasoned DEA agents on our team. 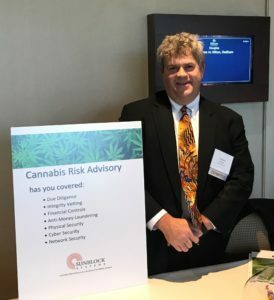 Knowing what to look for has always been as important as knowing where to look for it, and Cannabis Risk Advisory is bringing it all together. Here are two of our experts, Chris and John. ← We’re excited to meet you!